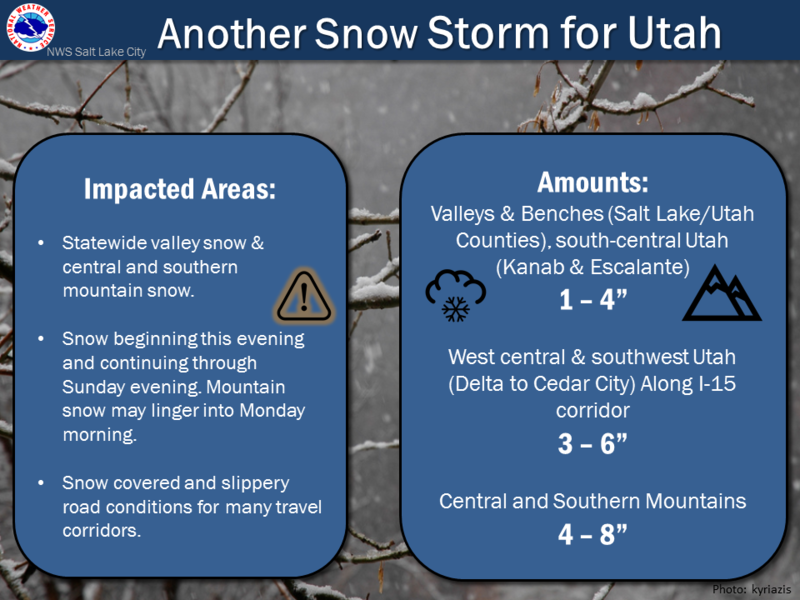 TLDR: A cold storm system will move into the area this evening, potentially dropping a foot of new snow in the Cottonwoods and the central Wasatch. Snow will continue through tomorrow.. Free refills anyone?? 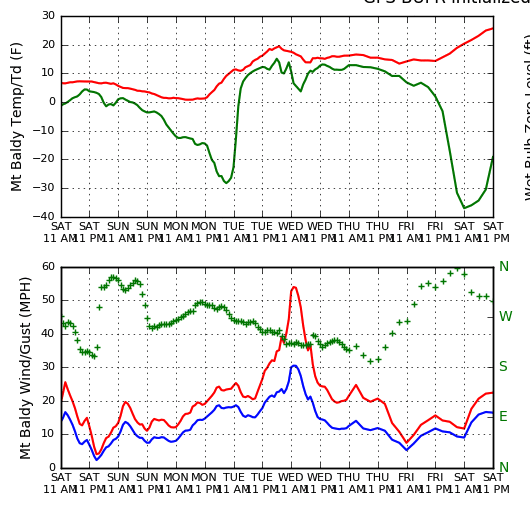 Ridging builds in by mid-week, with blue bird conditions on deck for next weekend. Today marks the first day of the last month of 2018, and so far it looks like December is not going to be disappointing. The lifts at Solitude started spinning today, and the snow keeps on falling. The last storm that crossed northern Utah left behind 8-14″ of the good stuff at most resorts. These early season powder days are what dreams are made of. Luckily, we have more of that on the way. Also, check out this eye-candy that one of our MesoWest cameras captured today on the Bonneville Salt Flats. 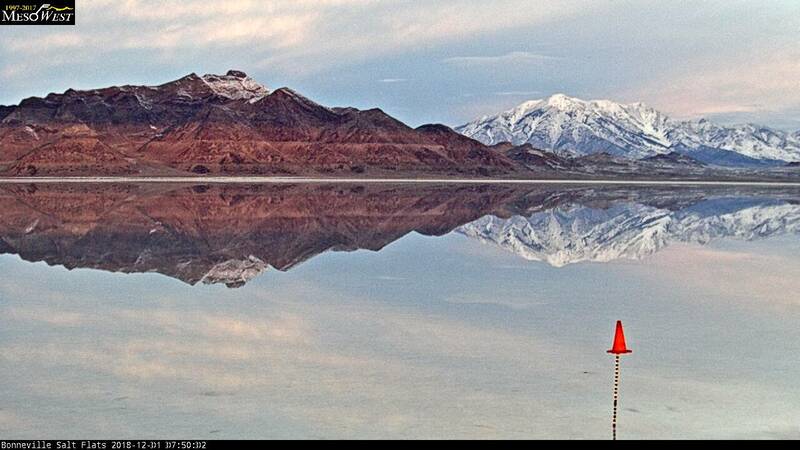 Snow-capped mountains reflecting off the water that pooled on the Salt Flats from our most recent storm.. Absolutely stunning! Tonight – Monday: A cold trough originating from the Pacific will make its way into the Intermountain region tonight, bringing colder temperatures and snowfall from the mountain tops all the way to the valley floor. The surface low pressure center will pass to our south, which will result in Northern Utah missing out on most of the action initially. This is due to being in the easterly (downslope) flow regime of the low pressure center. The Salt Lake valley and areas to our south will reap most of the benefits in terms of snowfall. Though, it is possible that mountainous terrain in the Ogden area will benefit from some orographic enhancement once the low begins to move out on Sunday afternoon/evening. 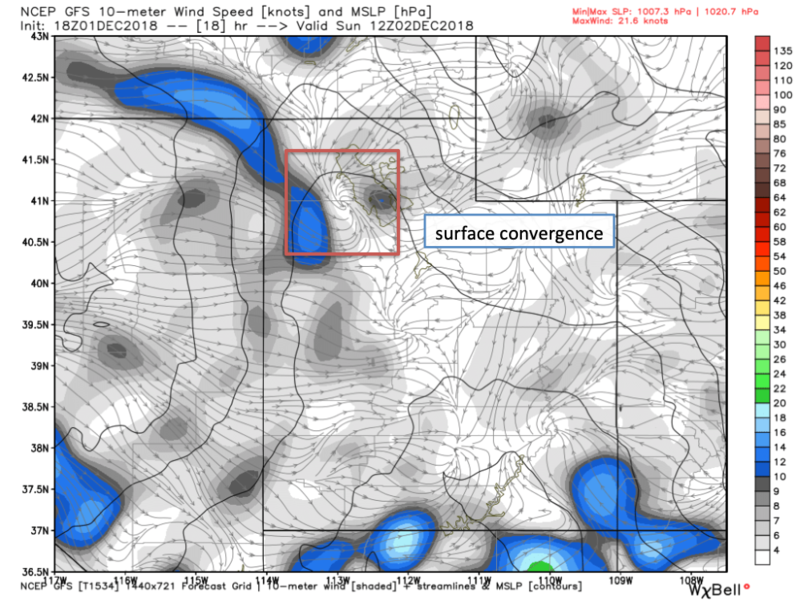 Additionally, this does not look like a big snow-producer for lee-side resorts like PCMR and Deer Valley given the location of the low pressure center and potentially blocking by the windward side of the Wasatch. In anticipation of the winter weather throughout the Salt Lake Valley, the National Weather Service – Salt Lake City has issued a Winter Weather Advisory for the area. This does not include N. Utah. This cold, moist storm system will bring temperatures down to nearly 10 degrees below normal in Salt Lake City, as well as produce widespread precipitation across the SL Valley and areas to our south. As the low progresses East, it will be situated between two high pressure systems, producing converging flow at the surface. This convergence zone will move east over the Great Sale Lake and could produce some lake-enhanced snowfall in the overnight hours. This lake enhancement is a wildcard not only for potential snow totals, but the location of the enhanced snowfall. This will largely be driven by prevailing wind direction. If the wind has a more westerly component (WNW) and lake enhancement does occur, it could mean more snowfall for areas to the north of Salt Lake City like Bountiful and Ogden. If the wind is strong from the northwest, this would mean more snow for the SLC-Cottonwoods region. In addition to snow showers lingering throughout the day, crest level (700 mb) temperatures could be as low as -17 Celsius (0 degrees Fahrenheit) with winds gusting to 40-45 mph tomorrow afternoon. If you plan on going out to ski, dress accordingly as wind chill values will be much lower than these forecasted values. Wednesday into Thursday, a weak disturbance crosses the region, which could lead to a few extra inches of snow in the mountains. No major accumulations are expected from this trough. After Thursday, ridging appears to build in, bringing quiescent weather and some potentially awesome blue bird days next weekend as the ski season starts to ramp up. 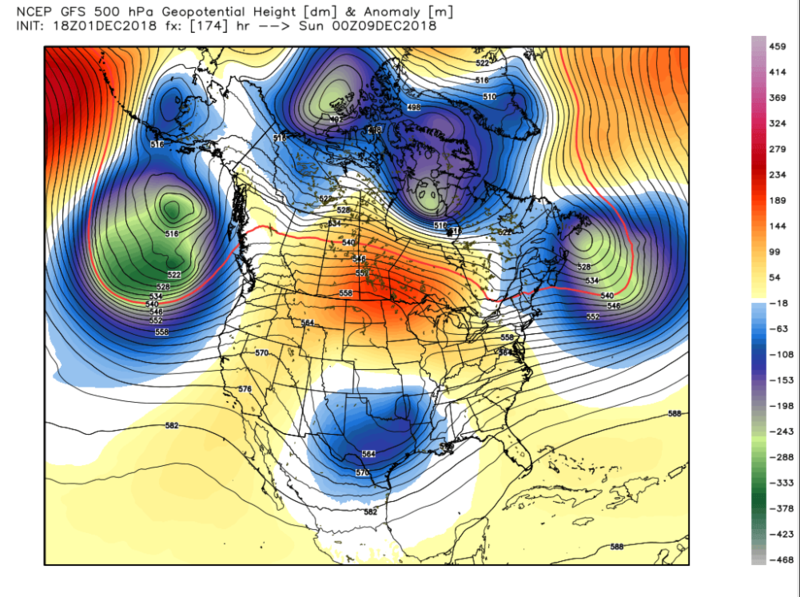 The 500 mb anomaly forecast is shown below, valid next Saturday afternoon. Yellow-orange colors indicate a “positive” anomaly, meaning a high pressure system. For now, enjoy this awesome early-season skiing and a powder day with free refills tomorrow!